"Keep tenants in rent-stabilized apartments," is the mission of the Bushwick Housing Independence Project (BHIP). 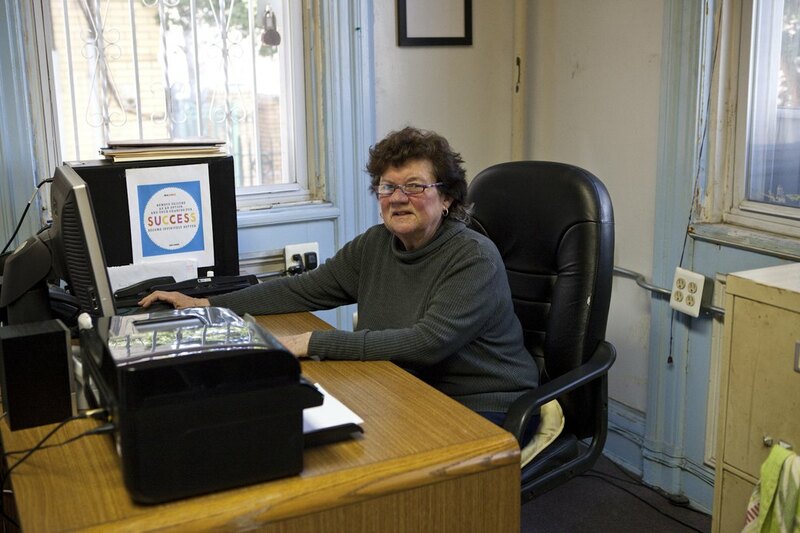 Sister Kathleen Maire, of St. Barbara’s Roman Catholic Church on Bleecker Street, has devoted herself tirelessly to this mission for almost a decade. She runs BHIP, a non-profit organization dedicated to educating and organizing tenants and evading the nefarious pseudo-legal tactics of amoral landlords. Sister Kathleen has clear, striking blue eyes. She is whip smart and unbelievably kindhearted. Most Thursdays, you’ll find her at the church with a chocolate lab by her side. She began working in Bushwick in the 1990s, but later moved to a parish in Manhattan, and was brought back to St. Barbara’s in 2006. She was given the formidable task of resuscitating BHIP, which was on the brink of dissolution due to lack of funding. She originally intended to stay for three months but wound up never leaving - a testament to her passion for the project. BHIP holds weekly meetings to train tenants to know their rights and to stand up to landlords who are trying to evict them. These tenants, who may not speak English and certainly can’t afford legal aid, are often elderly or disabled, and they are unable to compete with the rising tides of market forces. BHIP works to empower the impoverished, and Sister Kathleen is the heart and soul of that mission. It seems that some landlords will do anything to save money. We’ve all heard horror stories of landlords who neglect upkeep to a dangerous degree but that’s only the tip of the iceberg. They have also been known to serve tenants fake official-looking, illegal eviction notices to get them out of a building, we learned at BHIP. 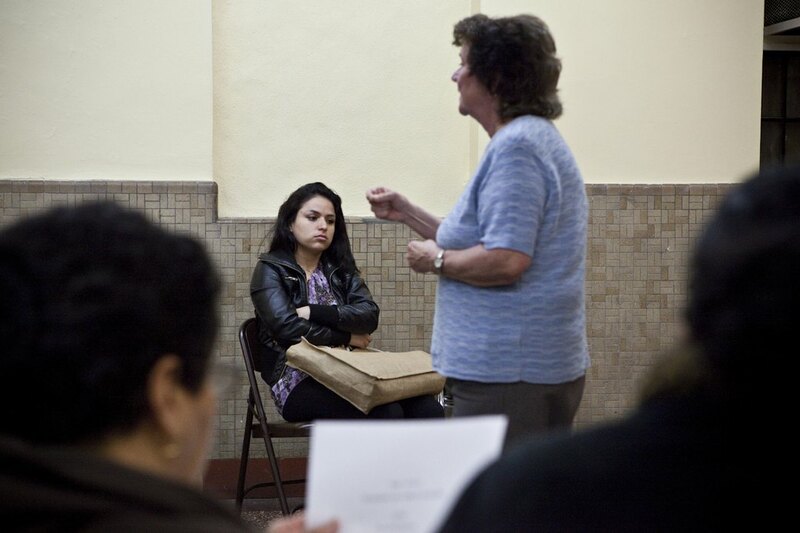 Sister Kathleen told us that landlords employ a number of tricks to shed the rent-stabilized status of an apartment. If they neglect to disclose rent stabilization to a new tenant and that tenant signs a lease, the apartment’s rent status has been lost forever, and the building can be rented out at market price from then on. If they do "gut-renovations" on their apartment, they can request that the city release them from their rent-stabilized status. Plus, they can intimidate tenants to try to get them to leave. Kathleen Maire speaking at the weekly BHIP tenets meeting. Sister Kathleen believes strongly that unless there is political will to stop these changes, Bushwick will go the way of Williamsburg. But why exactly, should it worry you? Whether or not you and I are "gentrifiers," we are not the ones who will benefit from this influx of wealth. Landlords will. I have spoken with a number of friends who fear they can no longer afford to live in Bushwick. Morgantown and East Williamsburg are out of the question. We quip about our own displacement, but we are so unfathomably fortunate just to have other options. Sister Kathleen sighed with angry resignation as she described the experience of telling a woman in her seventies that her best option was to go to a homeless shelter. If BHIP can’t help someone stay in their apartment, their best option is to go to a shelter or go stay with relatives. If someone is in a shelter, their request for entrance into a public housing project is prioritized, meaning they might only spend six to eight months homeless. Otherwise, the wait can take years. 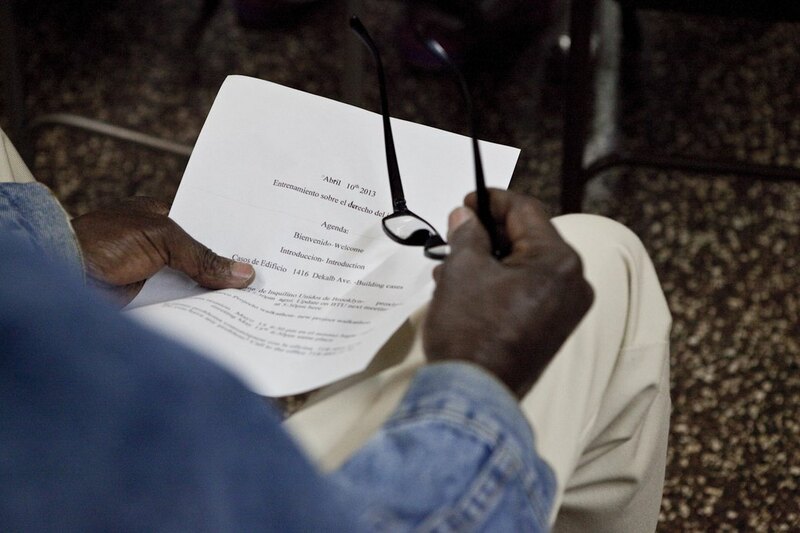 Sister Kathleen explained that BHIP relies mostly on support from organizations like the Brooklyn Community Foundation. The project also has an ally in Councilwoman Diana Reyna, who is working to pass rezoning laws that will encourage low-rise development and local jobs in Bushwick. Call/email/tweet your local politicians, and let them know that you support Diana Reyna’s initiatives. Donate money to BHIP and/or other community oriented organizations. Can you speak Spanish? Are you a lawyer? Then you have skills that BHIP desperately needs. If not, you can still assist with community outreach or participate in their upcoming walk-a-thon. Check out their website for more details. And most importantly: when you move into an apartment in Bushwick, ask your landlord whether or not the building is rent-stabilized. They are legally obliged to tell you but they often won’t unless asked. In general, if your building has more than six units and is not a condo or co-op, call the NY State Division of Housing and Community Renewal, the state agency which administers the rent laws, and ask them if your apartment is (or should be) rent-stabilized. They can be reached at 718-739-6400 or 212-961-8930. 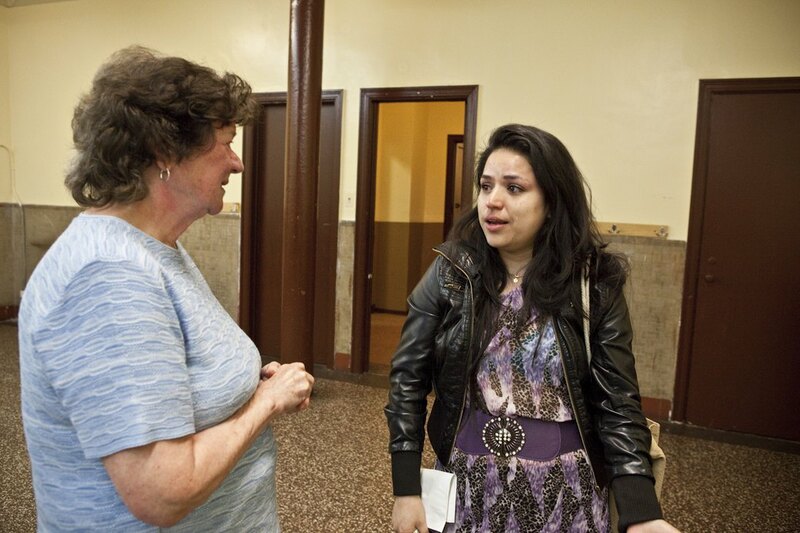 Jessica Duarte was evicted from her home last week.